Whether it's a new skin care regime your looking for or just a relaxing facial, dermalogica is a first class product leaving your skin feeling & looking great. The prescriptive facial is customised to you personally. Your skin will be assessed under a magnifying lamp in order to determine your skin type thus enabling the correct products are used for your facial. This is a 30 minute basic facial which includes cleanse, exfoliation, masque, tone & moisturise. 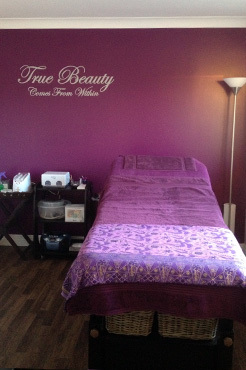 This is a 20 minute treatment focused on a specific area. it is ideal for clients who don't have the time for a full facial but have concerns with a particular area which you would like to be focused on. The back treatment is like a facial for your back. This 30 minute treatment consists of a cleanse, exfoliation and massage on the back leaving you feeling relaxed and your skin feeling soft and looking great.